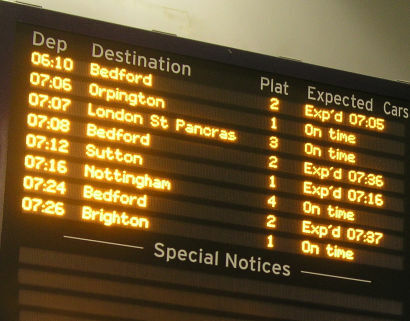 THE next major timetable revision in December will be less ambitious, according to the Rail Delivery Group. The decision to move forward more slowly in future has followed the difficulties which resulted from major changes introduced on 20 May, particularly on Govia Thameslink Railway and Northern. In the case of GTR every train was retimed, involving more than 3,000 services. In both cases the new timetables proved unworkable, and hundreds of trains were then shaved from the schedules in a bid to make the remaining services more reliable. Network Rail said the problems had provided ‘painful lessons’. The fall out is continuing. Neither operator has yet managed to restore the original timetables of 20 May and reliabity is still below targets. Three separate inquiries into the problems are under way, including an official investigation by the Office of Rail and Road. December’s changes will be closer to the scale of previous years. Network Rail chairman Sir Peter Hendy said: “The railway industry has taken a long hard look at its plans for the next timetable change in December and, taking into account recent painful lessons, the industry has scaled back its ambition and tempered it with a more cautious, phased approach to introducing the new timetable. “While there will still be new services introduced this December, other new services will now be introduced more gradually over the next few timetable changes to help smooth their introduction and maintain a reliable service for passengers and businesses alike. Operators also agree that the next round of changes needs to be less ambitious. The decision has been welcomed by the official watchdog Transport Focus. TF chief executive Anthony Smith said: “Following the disruption and misery passengers have faced, the gradual introduction of changes is a pragmatic step to help maintain a more dependable service. Transport campaigers are still concerned. Stephen Joseph of the Campaign for Better Transport said: “Passengers will welcome an emphasis on reliability and avoiding ill-prepared big changes, so that the timetable can really be a commitment rather than an aspiration, but we will be concerned if there are further delays to the upgrades promised, especially in the North of England and the West Midlands."